Great accomplishments often originate from a simple, sound idea. In 1985 it happened with Jim Mellody. He had been the owner of a small Italian restaurant near the University of Tampa when he decided to purchase a sandwich shop near Brandon, Florida. Jim knew he wanted a limited but appetizing and affordable menu. He also understood the importance of listening to his customers. With a receptive attitude to what they liked, he added a sandwich here, eliminated one there. It worked. Business was good and getting better. And then, confident in the quality of his own special recipe for Buffalo style chicken wings, he featured it as the newest item on his modest menu. That really worked. The response was sensational. The neighborhood communities quickly embraced this small "local" sandwich shop. They liked the food, service and attitude. Then Jim added a sports theme to the established, comfortable atmosphere and the first Beef'O'Brady's® Family Sports Pub was born. And the name, Beef 'O' Brady's®, that was all in the family as well. Brady was Mellody's mother's maiden name. Jeanette, Jim's wife, conceived the name, and the rest as they say, is history. 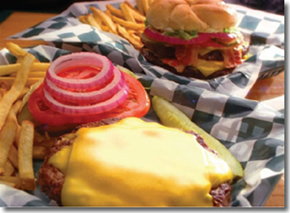 Owning and operating your own Beef 'O' Brady's Family Sports Pub is different from many business opportunities you may consider. As a Beef's Partner, you are committing to a "way of life," which requires community involvement by working with local schools, adult/youth athletics, and community organizations. Your Family Sports Pub provides the vehicle for you to get involved, but you have to WANT to be involved. Beef's Way of Life is the combination of Family, Community, Business, and Values into a new way of life for every Partner. It provides you the opportunity to be involved with your family while earning a living. 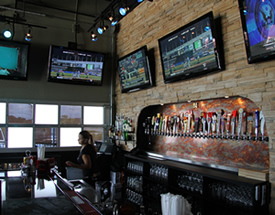 It provides a place where area little leagues will come in after their game, and high school football fans & players will come in for a bite to eat after a win. Adult recreational leagues will stop in for a beer. Your Beef's will allow you to REALLY contribute to your community through school sponsorships, charity donations, and sporting events which will in turn build your business. The opportunities to help out in your neighborhood are endless. You will be able to exhibit your values and beliefs to others in your community. Making a difference – changing lives – the backbone of the community! That is what Beef 'O' Brady's is all about. From all walks of life; Over 60% of new Beef's owners have NO restaurant experience. Full Service Assistance with site selection and lease negotiations. Full Service Layout, Plan, Store Design and review. Network of preferred vendor partners as architects, contractors, equipment, and furniture providers. 7week In-Store Operator Training and Certification Program with focus on non-restaurant background new partners. Home Office New Store Training Team of "Grizzled Veterans" with over 230 successful Beef's openings so far ... We are Operators serving Operators. 5 Day Beef's University at home office. Regular Store visits from our Home Office Support Team. Regional Partner's Ongoing Education Meetings. Every Beef's is representative of its owner and community. You decorate your Beef's with personal sports memorabilia, kid's baseball cleats, and local school banners. Your walls should tell your story and be reflective of your community. Fill out the form below to take the next step! Beef 'O' Brady's is currently accepting applications from the United States and International. Interested parties should have at least $125,000 available to invest. 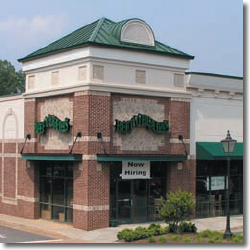 Click on Request Information for FREE info on how to open a Beef O Bradys Family Sports Pub franchise today! Please Note: This Beef 'O' Brady's Family Sports Pub franchise opportunity and other franchise business opportunities, businesses and franchises for sale on this web site are not to be considered as an "offering", "franchise offering", suggestion or recommendation by Franchise Leader™. This advertisement depends entirely on the truthfulness of the information provided by our advertisers which includes, but is not limited to, franchisers, franchise brokers, franchise consultants and business brokers. Franchise Leader™ recommends that you consult a lawyer, financial consultant, accountant or professional advisor before buying a franchise or business opportunity or any type of business. By using this form or any part of our website, you have agreed to all terms and conditions of Franchise Leader™. Please review our Terms & Conditions for more information.